Whittier College strives to be as eco-friendly as possible. The design and construction of the Science and Learning Center focused on efficiency and sustainability. The renovation process required the removal of certain materials. Waste materials such as metals, light fixtures, and concrete were recycled. Glass, plastic and wood products were taken to services where they were made into reusable materials. The plants surrounding the building were shredded and also made for reuse. Hardware items and fixtures were repurposed to be utilized in the Upper Village. The biggest part of the sustainability efforts in the new building is the use of the forty five year old building’s skeleton. The building remains a strong and usable structure, so using the skeleton of the building was not a problem. In fact, this plan allows the structure to qualify for a Silver LEED rating. 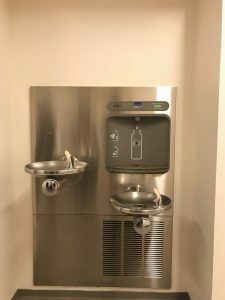 The SLC also received the Energy Star Certification which means that the building has put into place practices and products that are deemed energy efficient. 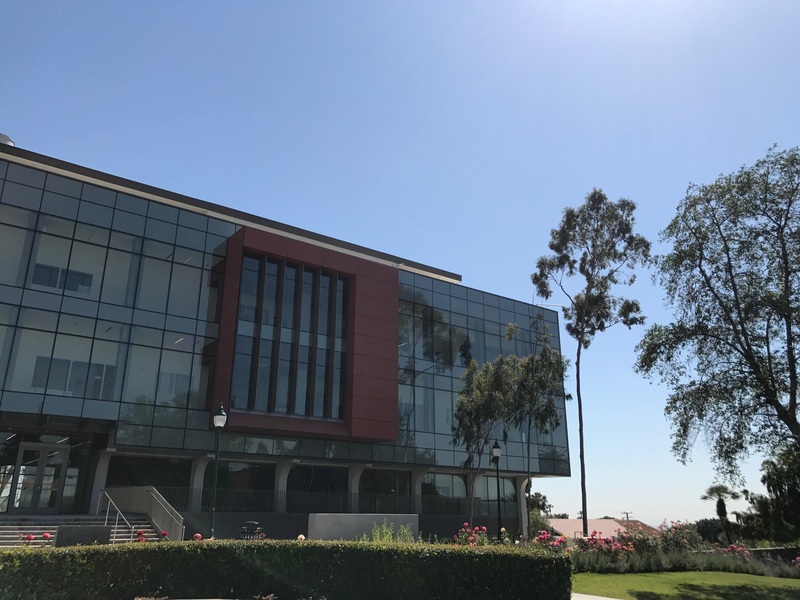 The new and improved Science and Learning Center debuted in Fall 2016. Some of the improvements include electric car charging ports, water bottle filling stations, and a “green roof”. In addition, treated windows were placed throughout the new building that reflect solar radiation. While the classrooms benefit from the natural lighting, the treated windows prevent the classrooms from heating up, which has also allowed for less air conditioning to be needed. The new SLC prioritizes equity and inclusion. 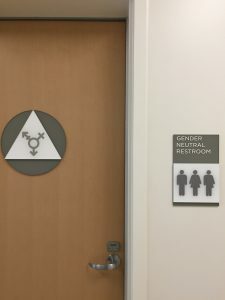 It includes a gender neutral bathroom to ensure that Whittier’s diverse community is fairly represented. 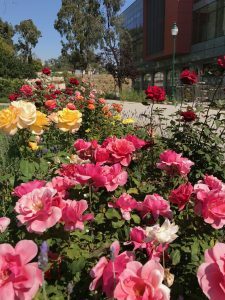 Whittier College has also put efforts towards helping the local wildlife by attracting pollinators with a variety of flowers and plants, which are placed around the Science Learning Center. Not only does this attribute to the wildlife but gives the Science Learning Center a better aesthetic value. The Science and Learning Center has undergone a drastic renovation that has improved the overall appearance, quality, and sustainability of the building. “Science Learning Center Interview with Ana Lilia Barraza.” E-mail interview. 10 Nov. 2015. Montgomery, Emily. 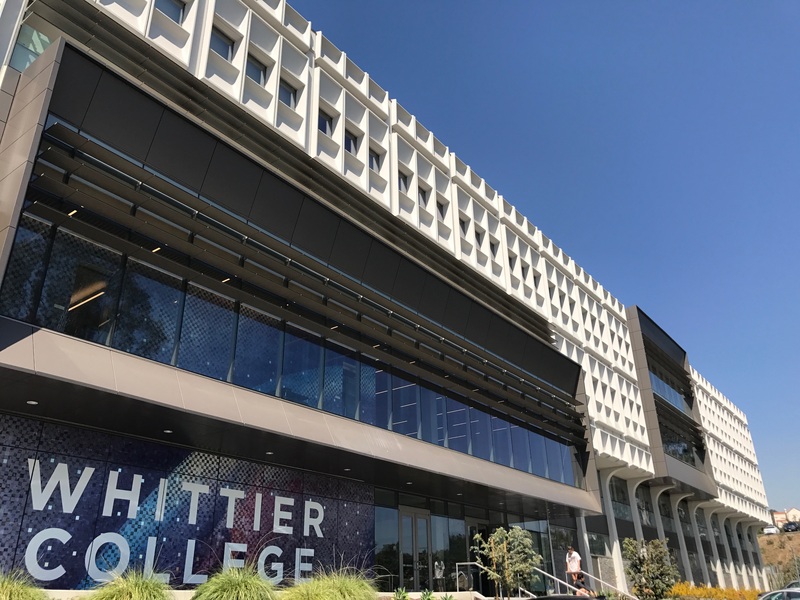 “Whittier College.” 21 Apr. 2017. Montgomery, Emily. “Flowers.” 21 Apr. 2017.